Volunteer Services offers a wide range of volunteer opportunities that allow individuals to make a difference in their community. RSVP recruits and matches volunteers age 55 and over with local non-profit organizations in Fond du Lac, Green Lake and Winnebago Counties that need their support and talents. Volunteers serve in a variety of positions throughout the community. 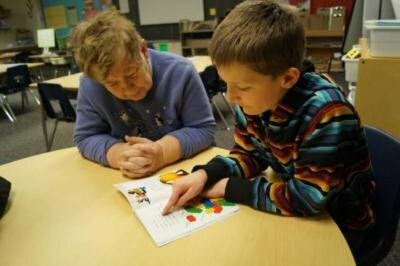 FGP offers a stipend to income eligible volunteers age 55 and over who commit to serving in local schools, Head Start centers, child care centers, and other youth centered sites in Fond du Lac and Winnebago Counties. Volunteers work one on one with children who have identified educational or social needs. ADVOCAP Senior Nutrtion Program volunteers help to provide seniors with a well balanced meal at congregate meal sites in Winnebago County. The transportation program volunteers provide transportation to those in need to scheduled appointments (medical, nutritional, court, agency, etc) as requested by the Department of Human Services (DHS) in Winnebago County. Senior Friend volunteers provide friendship, companionship, and support to older persons living in Winnebago County. Head Start volunteers promote the school readiness of children ages 3 to 5 from low-income families by enhancing their cognitive, social and emotional development. Fall Clean Up Program volunteers assist elderly homeowners in Winnebago County with seasonal chores.